Carol Wilson has practiced meditation since 1971. She studied with a variety of teachers, including practice as a Buddhist nun in Thailand. 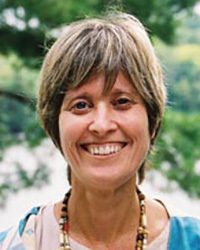 She has been teaching vipassana and metta retreats at Insight Meditation Society (IMS) in Barre, Massachusetts and around the world since 1986.